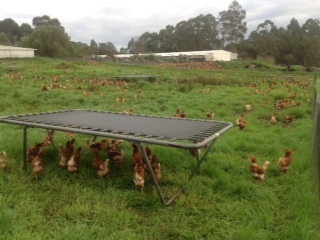 Our stocking density of 2500 hens/hectare on rotated yards meets all internationally recognised free range egg standards ie RSPCA, UKRSPCA, NZRSPCA, EC, etc. It is important to us that our hens, our girls, our “livestock” are treated well and have opportunity and space every day to run, jump …and maybe even attempt to fly. 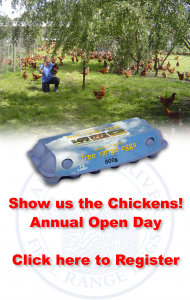 We believe that the hens welfare does not need to be compromised in order for the community to be provided with a fantastic natural product and our family with an income.